Kingston Foot Clinic has paediatric podiatrists who are international leaders in kid’s foot and ankle problems. We are often asked why so many of our podiatry colleagues offer children’s podiatry screenings or gap free assessments for kids, and we don’t. Many of our podiatry colleagues who do screenings are great podiatrists and we know they will screen your child well if you choose to see them. We’ve thought about offering these services at lower cost a lot and chosen not to do this at Kingston Foot Clinic for a number of reasons. None of these are about payment, which we know is a big thing to the family budget. We make an hour appointment for your child and if we can get it all done quicker, you will only be charged for the short appointment. We have made our decision not to offer screenings due to the way we work with you and your child, and our philosophy for excellence in assessment, education and treatment. 1. Short appointments don’t always work for many kids. 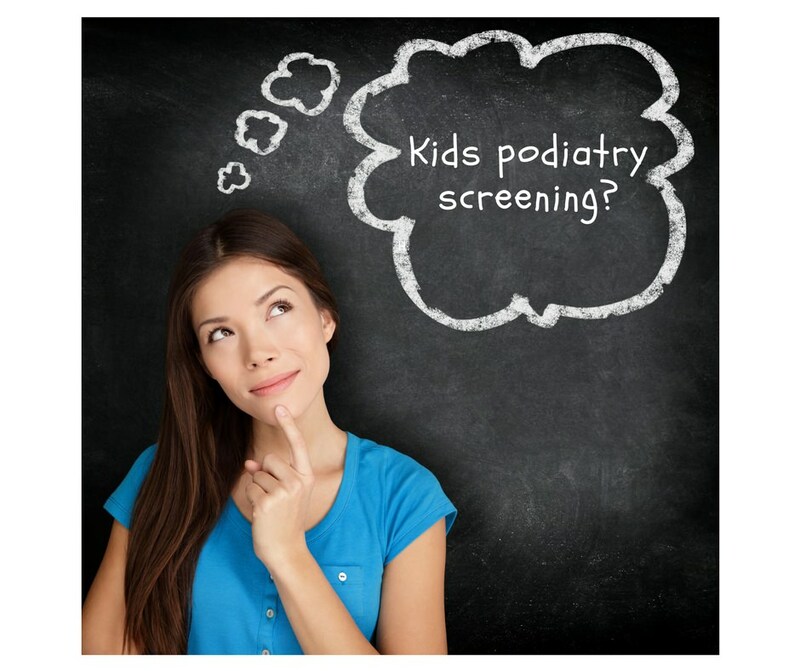 Some kids do fine, however many kids don’t always understand what a podiatrist does or wants to do in an assessment. Your child may be shy, nervous or reluctant to walk or have their feet or legs touched. To best understand all about your child and your goals of the appointment and assess them at their best, we need time to ensure your child relaxed and comfortable with us. 2. Screening are a brief look to see how kid’s feet look and move. Screenings don’t always get the full impact of what is happening with feet and legs and may require additional appointments for further assessment and treatment. We believe that a full assessment should cover watching your children walk, run, hop and skip, if they can. An assessment should also cover your child’s birth history, developmental history (when they achieved all their skills like crawling and walking). We also consider any participation in sport or other activities and what they want to achieve with them. Lastly, an assessment should also consider your child’s participation in school, preschool or when playing with friends and if their foot or leg concerns are impacting on this. 3. You can’t have assessment without education and treatment. Screenings often don’t cover this education and treatment, this is usually provided if needed in an additional appointment. But even for those who don’t need any treatment, we aim to understand what is important to you and your child and ensure that whatever treatment options we do or don’t consider, you and your family fully understands these. We also always try to send you and your child home with personalized information from your visit so you can remember what we have talked about and share it with your child’s other parent or grandparents. If your child does need treatment, we work together to make sure you have a good understanding of why, and we tailor that treatment to what is right for their activities, for their sport and any footwear they prefer to wear. We aim to have assessment treatment and education in a single extended appointment.